Favorite Time Academy has built a solid reputation on high quality and superior programs. In addition to achieving NAEYC Accreditation twice and COA Accreditation, our team has also achieved numerous certificates, awards, grants, and recognition for excellence. The following is a brief list our team’s achievements over the years. NAEYC Accreditation which included two Quality Grants. Certificates of Commendation and Achievement from Georgia’s Childcare Association, Quality Care for Children, and Quality Assist. Nine years of Compliance History with Childcare Licensing. Awarded numerous Quality Improvement Grants including building the first Infant Playground in the area. 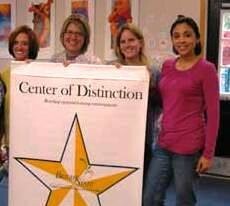 Favorite Time Academy was awarded “Center of Distinction” this month from Georgia’s Department of Early Care and Learning, Bright From the Start. The Center of Distinction Award is the highest state recognition for Early Childhood Education in Georgia. In May of 2007, Favorite Time Academy received a Quality Care for Children IBM Grant. This twelve-month project grant focused on quality improvements, director and staff training, and the state’s Standards of Care Program (SoC). SoC is a voluntary program provided by Bright from the Start to improve and enhance the quality of child care in Georgia by addressing brain research and appropriate learning activities for preschool children. The overall objective of SoC is to maximize learning opportunities for young children birth to five years and to raise the level of awareness about appropriate care for young children. Favorite Time Academy was also awarded a Quality Enhancement Grant for the purchase of additional classroom and playground equipment. 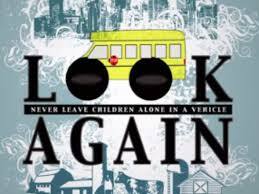 Some of the items include the new bikes for the toddler playground, multicultural dolls, books, dress-up clothes, math and science materials, infant and toddler dramatic play items, and much more. “I’m totally impressed! The equipment and materials that are supplied to our room is the perfect balance- it’s just the right items without being too much. I’m proud to work at a school that is continually working on bigger and higher ways of doing things”, states Ms. Maxi, Lead Toddler Teacher. Recognizing high quality child care programs as a Center of Distinction signifies to parents and the community the quality of the centers that achieve this high honor. “We are one happy team! Favorite Time strives to recruit and retain the best teachers and caregivers in the area, and we are very proud of the team’s accomplishments. It was a lot of hard work and it was most rewarding seeing how the improvements benefited the children”, states Elizabeth Walker, Team Coach/Owner. “It is exciting to spend a majority of my day working side by side with teachers who care and achieve classroom excellence. I believe this award attests to the team’s dedication to the children, ” states Talena Oller, Assistant Director. Favorite Time gives a big thanks to Devanie Schay from Quality Care for Children, and Nakilia Grier from Bright from the Start for their support and technical assistance throughout the project. A special thanks goes to Open Arms Christian Child Development Center and Foundations for the Future for hosting various training and leadership meetings. Favorite Time Academy is NAEYC Accredited and ranks in the top 8% of Early Childhood Educational programs nationally. To learn more, visit Favorite Time Academy at 10492 Dallas Acworth Highway, Acworth, Georgia or on the web at www.FavoriteTime.com.